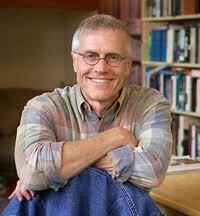 Paul Hawken is an environmentalist, entrepreneur, journalist, and author. Starting at age 20, he dedicated his life to sustainability and changing the relationship between business and the environment. His practice has included starting and running ecological businesses, writing and teaching about the impact of commerce on living systems, and consulting with governments and corporations on economic development, industrial ecology, and environmental policy. Blessed Unrest, How the Largest Movement in the World Came into Being and Why No One Saw It Coming published by Viking Press (New York) in May 2007, argues that a vast world-changing “movement with no name” is now forming, which Hawken believes will prevail. He conceives of this "movement" as developing not by ideology but rather through the identification of what is and is not humane, like an immune system. Hawken's books have been published in over 50 countries in 27 languages. Growing a Business became the basis of a 17-part PBS series, which Mr. Hawken hosted and produced. The program, which explored the challenges and pitfalls of starting and operating socially responsive companies, was shown on television in 115 countries. Hawken took over a small retail store in Boston in 1966 called Erewhon (after Samuel Butler's utopian novel published anonymously in 1872) and turned it into the Erewhon Trading Company, a natural-foods wholesaler. With Dave Smith, he co-founded the Smith & Hawken garden supply company in 1979, a retail and catalog business. He heads PaxFan, which uses geometries found in nature to increase the efficiency of industrial fans, turbines, and electronic thermal management. In 2008, he co-founded Biomimicry Technologies with biologist Janine Benyus, the author ofBiomimicry, Innovation Inspired by Nature, HarperCollins, 1997. Hawken founded and directs the Natural Capital Institute (NCI) located in Sausalito, California. Its main focus is Wiser.org, an open source database of activists and civil society organizations focused on environmental and social justice. Mr. Hawken has served on the board of public organizations including Point Foundation (publisher of the Whole Earth Catalogs), Center for Plant Conservation, Conservation International, Trust for Public Land, Friends of the Earth, and National Audubon Society. He was the founder of The Natural Step in the United States.